It is often a heavily debated subject when it comes to choosing an electric toothbrush versus a traditional manual toothbrush. It is one of those topics where you need to see all the facts and make the decision based on your personality and lifestyle. More Thorough Cleaning: Most of the time, electric toothbrushes will vibrate and rotate. These combined motions will provide superior cleaning to each tooth versus a traditional toothbrush. Prevent You From Brushing Too Hard: Patients will often brush too hard with a traditional toothbrush potentially damaging your gums and tooth enamel. Electric toothbrushes do most of the work for you, simply apply toothpaste, turn it on, and let the toothbrush do the work for you over each tooth. Help For Patients With Disabilities: Patients who suffer from carpal tunnel, arthritis or other limited mobility issues in their hands, arms or manual dexterity problems can find it very difficult when using a manual toothbrush. Electric toothbrushes often have large handles, which provide a better grip, and again, they do most of the work for you. Timing: Most electric toothbrushes today come with a built-in timer to ensure that you brush your teeth for the proper amount of time. Most patients who use a manual toothbrush do not brush their teeth long enough. 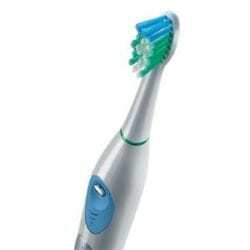 Price: The price of an electric toothbrush may be a setback at first, but they are designed to last a very long time. Also, when it is time to replace your toothbrush, you only need to replace the head of the electric toothbrush. This may be an advantage to some patients as electric toothbrush heads are often sold in packs that can supply you with a fresh toothbrush for several months, maybe even longer if you purchase them from a store like Costco. Charging: Electric toothbrushes need to be charged in order to function properly. That means if you forget to charge it, or even forget to pack your charger on vacation or on business travel, it could mean that you are looking for a store to either purchase a charger or a traditional toothbrush. To request a personal consultation with Dr. Joseph Cavallo contact our Woodbridge, VA dentist office, and learn more about the advantages and disadvantages of adding an electric toothbrush to your oral hygiene routine. Schedule a consultation online today.